I have a 5 gallon bucket of Kansas wheat. Wheat straight from the heartland. 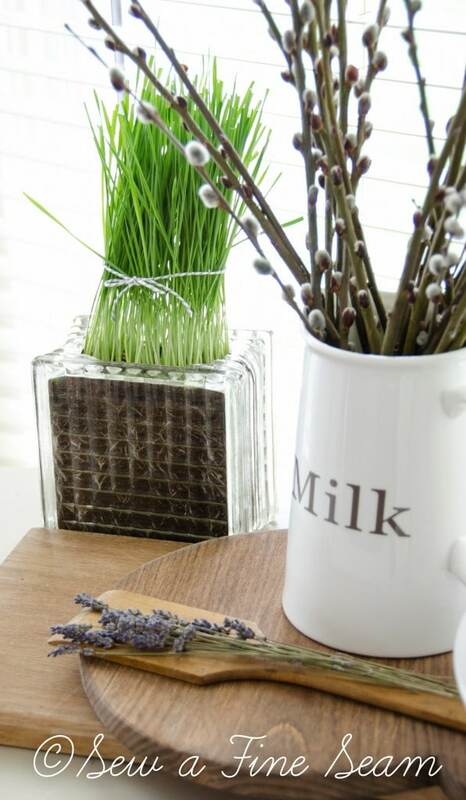 And now it’s time to show you how I plant it for spring decor. 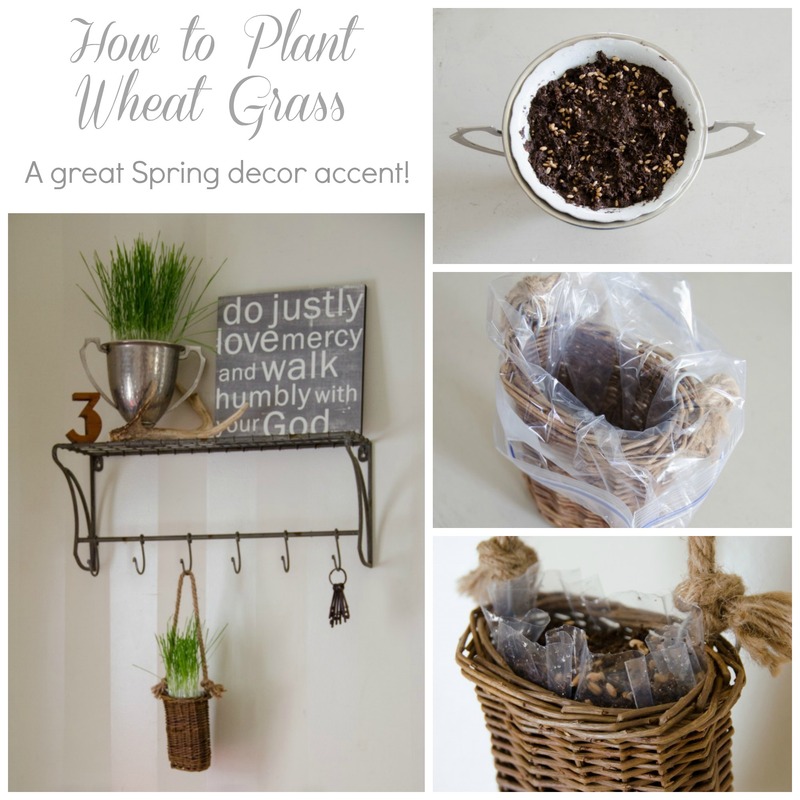 Planting wheat grass for decor in the early springtime, before the grass outside is green yet (or sometimes even visible due to piles of snow) is a wonderful way to brighten things up and get yourself through those last few days and weeks of winter. Lest you think I plan to use all that wheat in the 5 gallon bucket for decor let me put your mind at rest. I really intended to get the stuff ground into flour and make it into bread. Keeping a quart jar of it for future decor needs of course. But I’ve been lazy about getting it ground. And it keeps so well in the bucket. Yadayadayadayada – I can come up with an excuse for anything! I found directions for planting wheat grass a couple years ago on my friend Pam’s blog. Last year I followed her instructions to a T. This year I didn’t do exactly but pretty close. 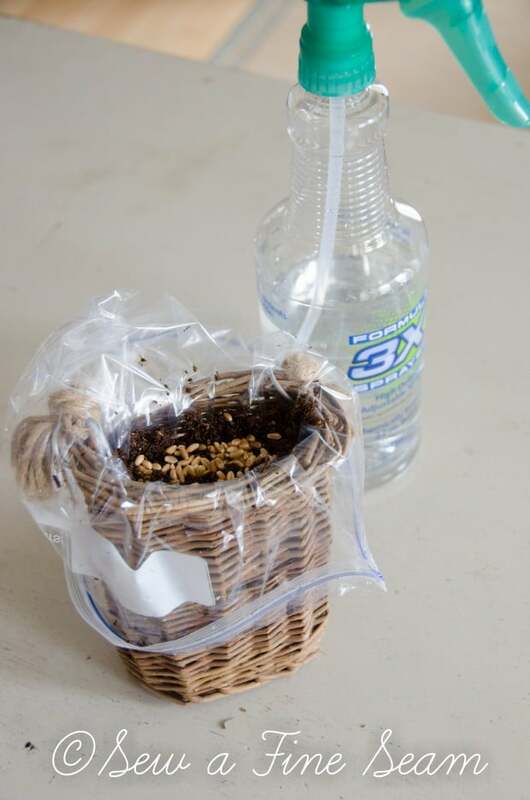 I just sprinkled on some wheat seeds and gave each pot a good watering with a spray bottle. I could have layered the seeds a lot thicker like Pam did, I just didn’t. No reason just how I did it this year. I did decide to use a bit of an unusual container this year. I had this basket hanging inside my front door and thought it would look cute with something real in it instead of faux flowers. 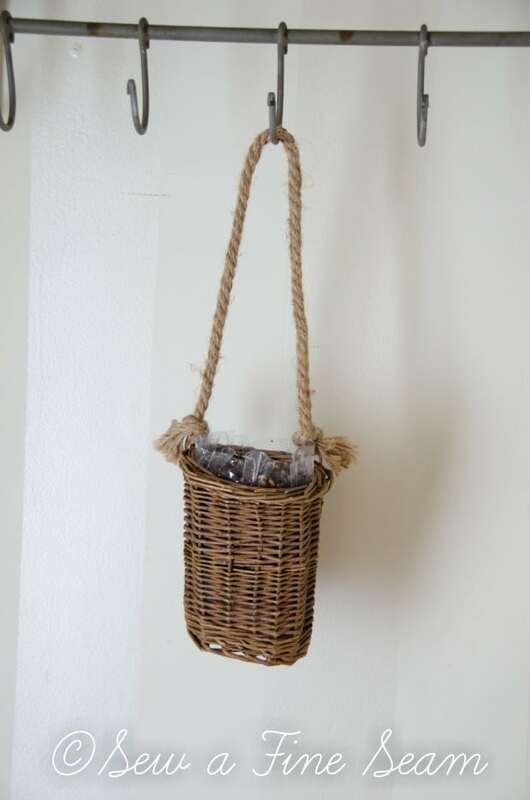 But putting potting soil in a basket that is going to hang inside the house didn’t seem like the most brilliant idea I’d ever had. So I thought a bit and viola! Enter the gallon ziplock bag. 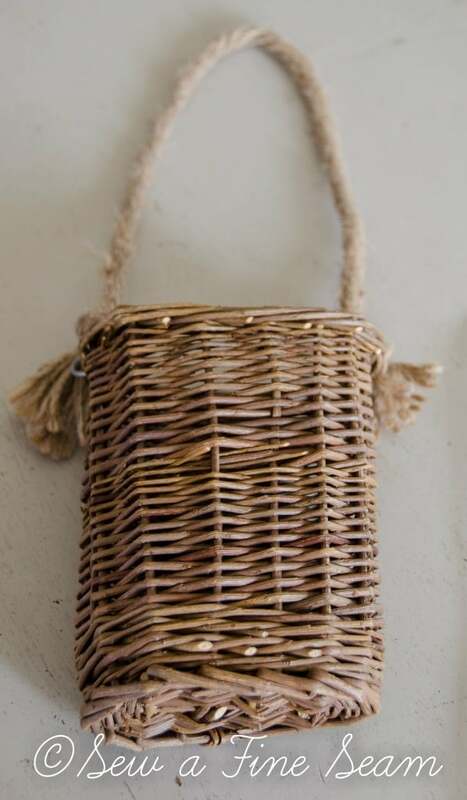 Push bag into basket as far as possible. 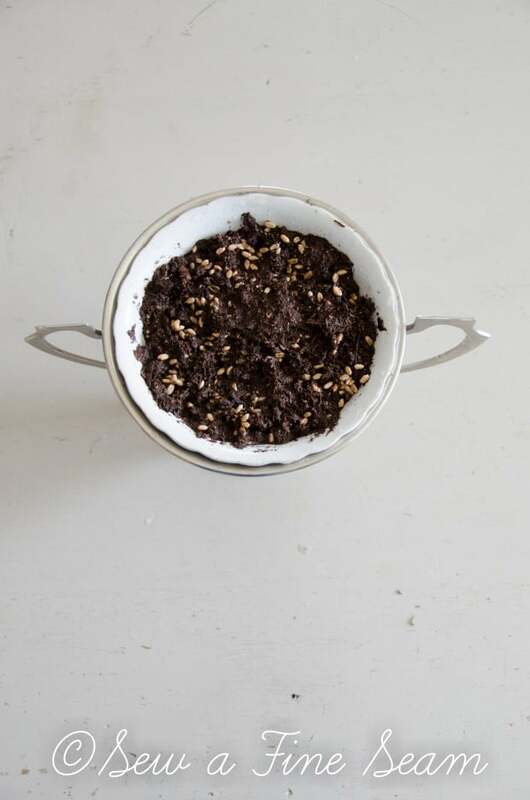 Fill with soil, top with seeds and water well. 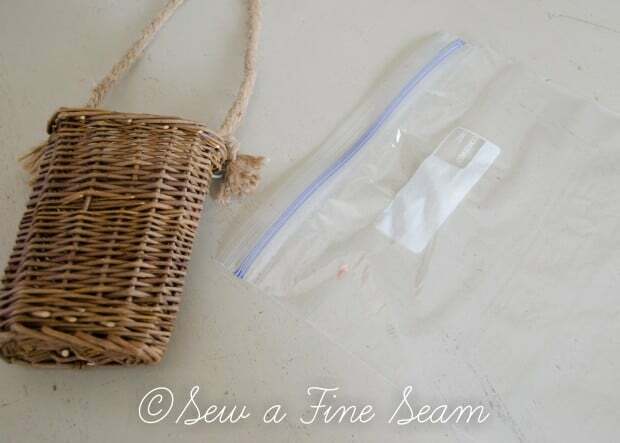 Cut off excess plastic bag. My grass had started sprouting by day 2 and had wheat shoots coming up by day 3. By Easter it had already had a couple haircuts and by a few days later I had to tie it to keep it from flopping all over the place. Right after planting the wheat grass. The trophy is planted too. About 2 weeks later. The grass in the basket has been trimmed twice. You can’t make this stuff stop once you start it. 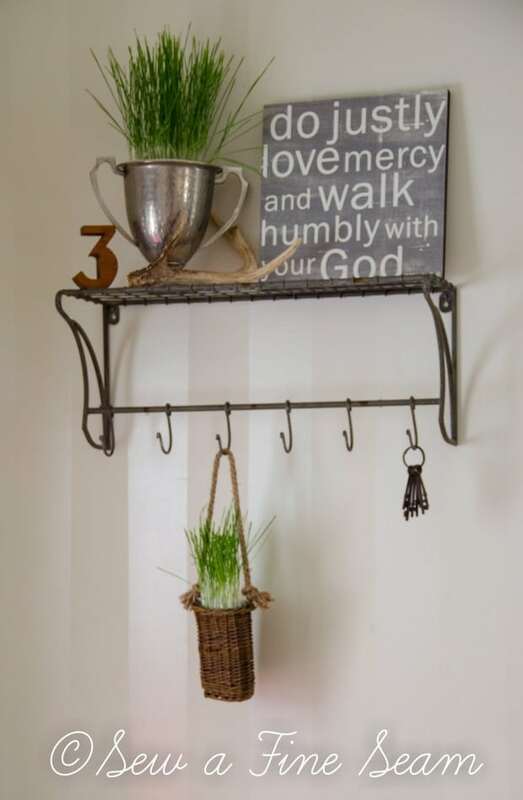 Have you ever planted wheat grass as decor? It’s super easy – you should try it if you never have! Oh yes, wheat feels so good on bare feet! But no snakes please! EEEEK! I’ve never done this but I’m adding a trophy to my vintage list. I hope you find a great trophy at a great price Jane! I used a bowl that fit inside the trophy to plant the grass so I didn’t have to fill the whole trophy. 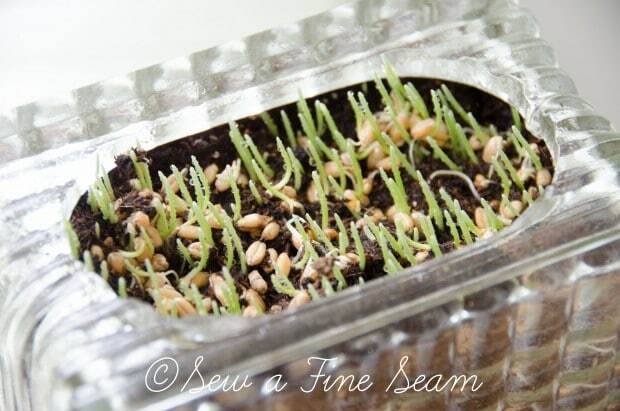 Wheat grass is amazing – it doesn’t need a ton of soil to grow! 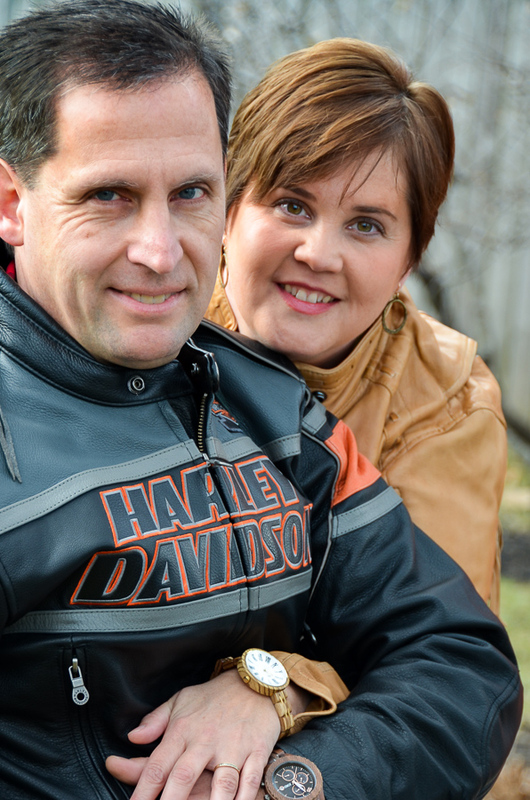 Hi Donna – so sorry it took me so long to get back to you – life happened and really pulled me away from the blog! You should be able to find wheat grass seed at a health food store or if you can’t find it locally you should be able to find a place to order it online if you google it. Or I could mail you some if you can’t find it that way! I love that bright green contrast and pop of color! I should plant some of that for our cat. Of course, it would always look chewed up and well-loved, but that’s okay….lol! Someone else mentioned they grow it for their cat! My hubby thinks I should grow more and put it in fruit/veggie smoothies – think I just might! Lovely! Growing this grass is on my ‘must try’ list. 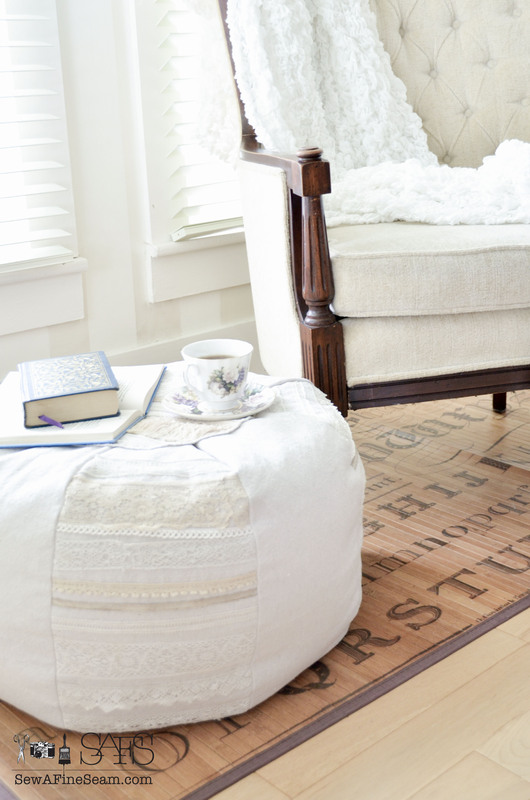 It adds just the right pop of color for Spring decor. Thanks Suzanne! I loved the pop of color it has added! Love the post. I’ve never grown wheat grass but I have grown grass for my cats and for some reason I think it may have been wheat grass. I really like the idea of starting in a zip lock bag. 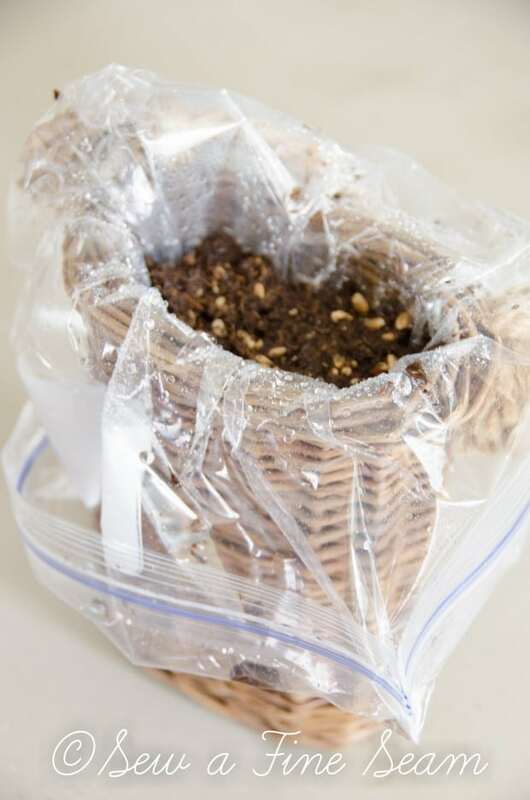 You could seal the bag up for a few days to let it sprout and then cut off the top of the bag to let it grow out. 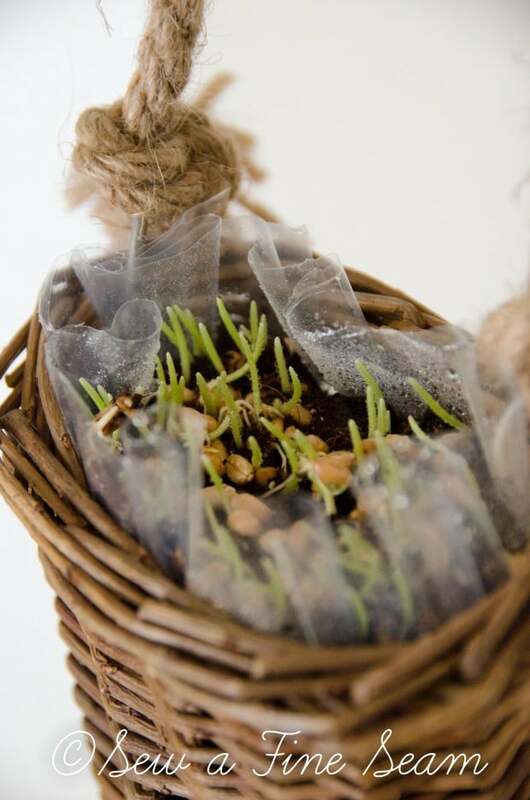 The instructions for the grass I grew included keeping the seed covered for a few days until it had sprouted. 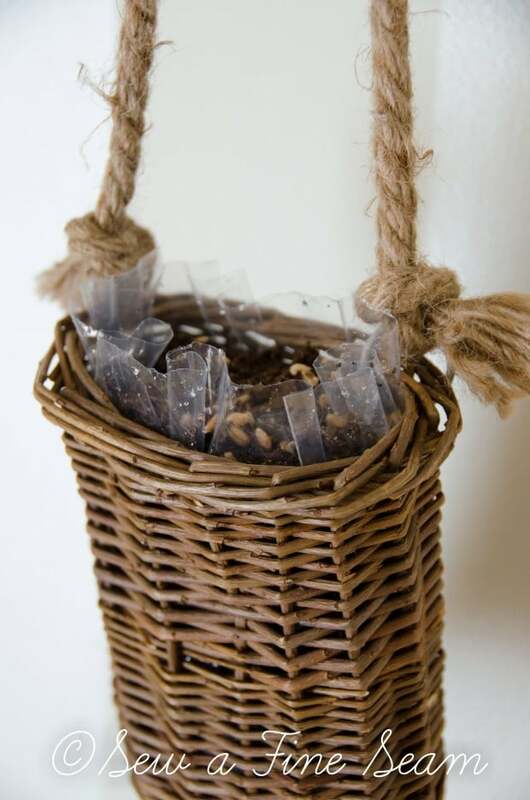 You zip lock bag idea is perfect. Thanks for the creative ideas for using the grass for decorating! Thanks so much Barbara! 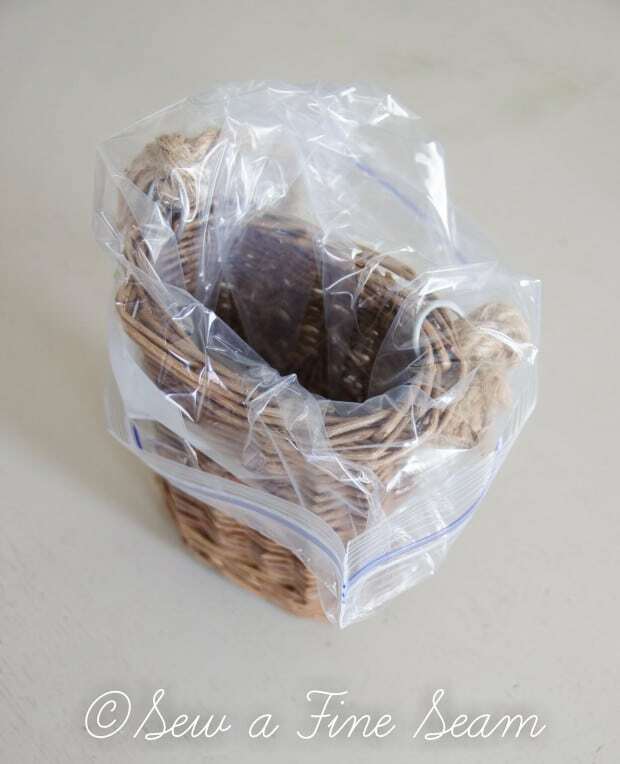 Great idea you added about using the ziplock bag – thanks for sharing that!